I feel like I have a pretty solid perspective on life. I take major and minor life events for what they are and give them the appropriate attention. Losing a pet is always a tough deal. However, in the whole landscape of our existence it is not an end of the world proposition and definitely not something that stands on par with the loss of human life. I don’t believe the loss of a beloved pet is grounds for missing a day of work or for staging a whole month of mourning. That is just me. With that said, I can say that I definitely felt a great deal of sadness when our family cat was put down yesterday evening. After giving the Reser Family so much joy for over 16 years, her health declined to the point where the only humane thing to do was to end any and all suffering she was going through. We brought Nabisco into our home in 1997. She replaced the void left by Crackers, our first family cat who sadly left this world when a neighbor dog attacked her in our own yard. We purchased Nabisco at a pet store in Spokane out of a litter of about seven other cats. A distinct marking on her forehead made her stand out and convinced us that she was the one. Little did we know how long she would grace our lives and how much happiness she would bring us. I have never seen a cat with more personality and love than Nabisco. She simply loved to be around us and loved to make us smile. Whether we were at the dinner table, in the living room, on our deck, or downstairs watching TV, Nabisco would always come and be with us. She would always stroll over to one of us and just plop right down on our laps. She was a very happy and affectionate kitty, always purring loudly while we petted her. She slept with my parents for the majority of her nights and always got up with my dad when he would rise at 5 a.m. Whenever we returned to our house from vacation she would always be right at the front door meowing as we unlocked the door. Nabisco was a beautiful cat. 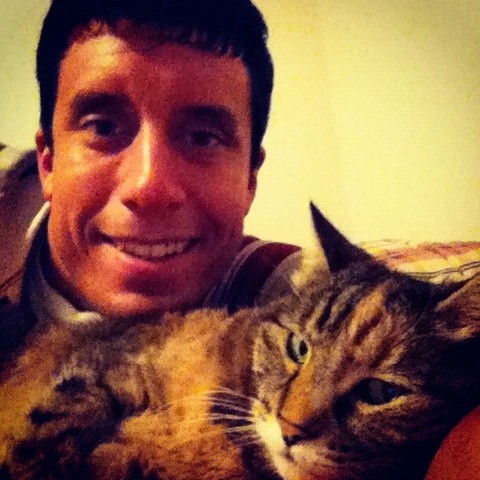 I said Nabisco had an amazing personality and with that came many funny and endearing traits. Her favorite thing to do was to sit at our outdoor deck patio window and watch the squirrels come and take the peanuts we had placed on the deck. Nabisco’s tail would wag back and forth 40 miles per hour as she intently watched the squirrels. She loved to eat the melted ice cream from our bowls. Although she loved us more than anything, she did not like toddlers or little kids. Whenever our extended family came over with the little ones or if neighbor kids came over, Nabisco would hide in my downstairs bedroom. 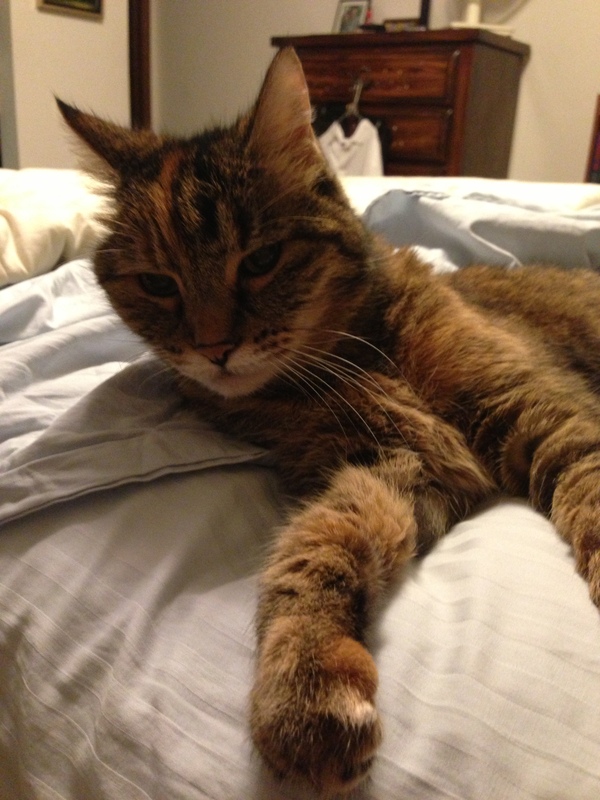 When we would pet her, she would tenderly touch her paw to our faces. She always let us pick her up whenever we wanted and was always good about posing for photos. She was deathly afraid of thunderstorms and when they would occur she would find one of us and bury her head into our bodies or into the couch or bed we were on. 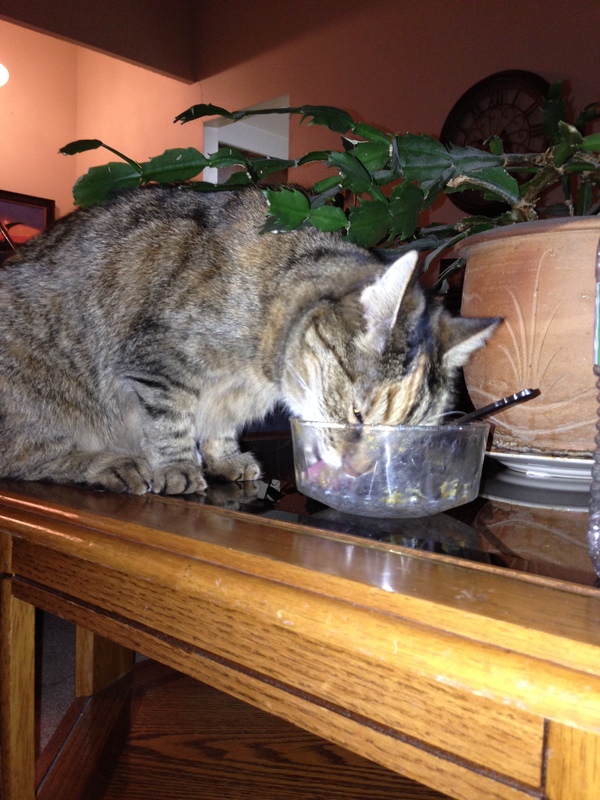 Ice cream was Nabisco’s favorite food…we always made sure to let her lick our bowls. To say that Nabisco had an impact on my life would be an understatement. You have to understand, we got Nabisco when I was 9 years old…I am 26 now!! She was around when I was in elementary school, when I entered middle school, when I graduated high school, when I left the house for Montana, when I made return trips home from college, and then when I made visits back to Spokane for the past four years while I have started my career. She has been a constant for me and my family. I had Nabisco in my life from the time I was just a little kid to yesterday. My friends know how much I loved that cat. In fact, they probably knew a little too much. Always kidding me for talking about her and taking pictures of her, people outside of the state of Washington knew very well who Nabisco was. 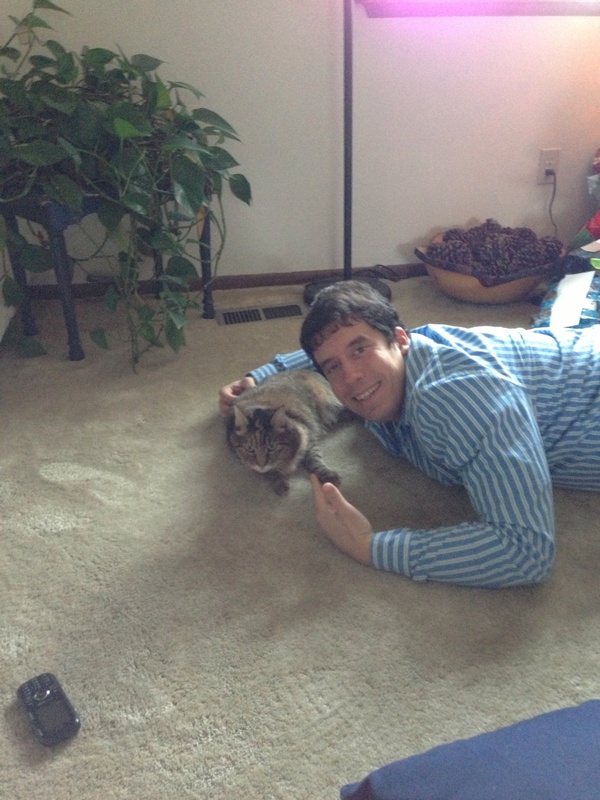 Whenever I talked with my parents one of the first questions I would always ask was “How’s the cat?” One of my biggest joys when making return trips to Spokane was walking through the door and having Nabisco greet me. She always remembered me and let me pick her up. I would immediately feel so happy and the realization that I was home would kick in right at that moment. Nabisco brought a lot of joy into my life. I do regret that I didn’t get to see Nabisco one last time. I did ask my parents if they felt she could keep going just a little bit longer so I could see her this next weekend but they said she couldn’t. Her health had deteriorated over the past couple weeks and the vet said they chose the right time to bring her in. Nabisco is now buried outside in our backyard right next to where we laid Crackers to rest almost 17 years ago. This was the last picture I ever took of Nabisco. It was taken this past August. Thanks for everything, Nabisco. Our family feels incredibly blessed to have had such a wonderful pet that gave us so much joy for so long. 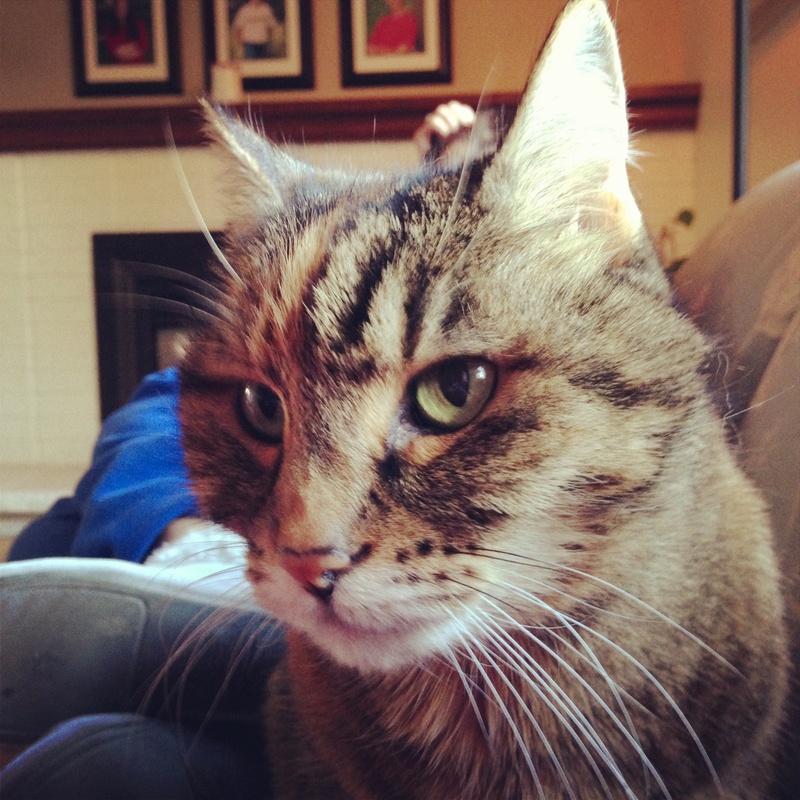 Knowing that we will never have a cat like Nabisco again, we will miss her incredibly. Don’t Blink, 16 years go faster than you think. 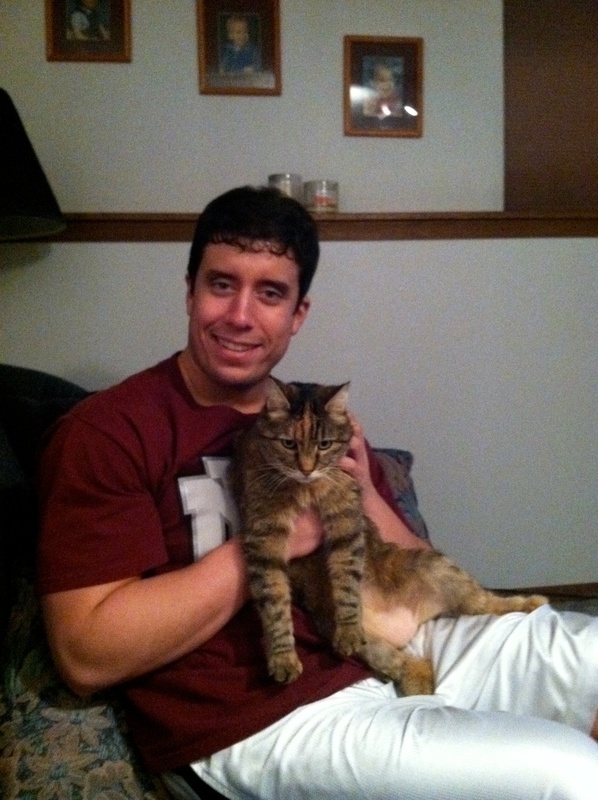 This entry was posted in Uncategorized and tagged cats, Nabisco, pet, pet death by brent. Bookmark the permalink.